The low bucket seat, longer travel rear suspension, and easy-grip handlebars creates a comfortable riding position for a wide range of riders. It’s ergonomically sound and helps build confidence in all aspects of your journey—from lifting it off its side stand to handling and turning. The low, ergonomic seat provides the ultimate in handling confidence. The combination of a 25.5-inch seat height plus a narrow frame makes it easy to maneuver your ride through turns and down straights at varying speeds. With an 18-inch wheel up front and a 17-inch wheel backing it up at the tail end, the light-weight wheels and radial tires make handling at low speeds a cinch. Hello, I'm interested in your 2019 Sportster® SuperLow®. Hello, I'm interested in trading in my bike for your 2019 Sportster® SuperLow®. 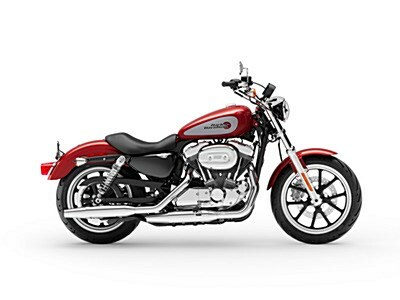 Hello, I'm interested in taking your 2019 Sportster® SuperLow® for a test ride.